I just did a new short live piece with the Quavers at Pop-Up magazine in San Francisco recently. The piece was about fog in SF—I narrated in person and cued images while the Quavers played a score. It was at the huge SF Symphony Hall. We had fun. The San Francisco Chronicle asked me recently to write something about my favorite book. Check it out here. 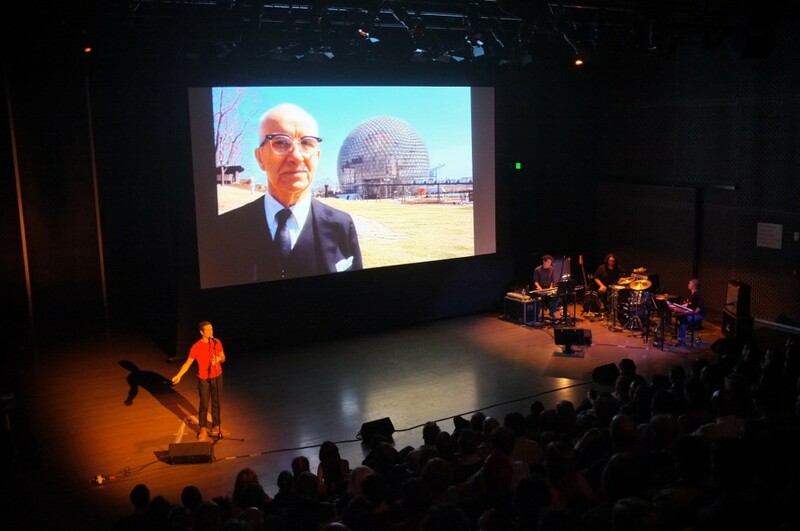 We recently did two sold-out shows at the ICA in Boston, which is one of my favorite venues anywhere. The theater overlooks the Boston Harbor and has these huge curtains that are dramatically lowered at the start of every show.